In a world where Cookie Monster and Elmo are on Top Chef judging a cookie challenge, it’s hard to choose a carrot over a cookie when it’s snack time. I know I’m supposed to eat less sugar and have a healthy diet, but if I’m being honest, sometimes I just want a COOKIE! Instead of eliminating cookies from our diets altogether, a great option is to find healthy cookies. I know that may seem like an oxymoron, but it’s something that Erin Baker’s Wholesome Baked Goods has been able to achieve. Erin Baker’s Wholesome Baked Goods is passionate about baking the healthy way. 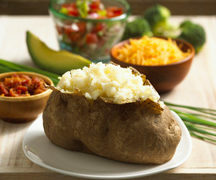 Using only the freshest wholesome ingredients we are able to create all-natural products of exceptional quality. Everything we make is baked to order ensuring homemade freshness. I never thought, in good conscience, I could say “I think I’ll have a cookie for breakfast today.” Well, that’s exactly what I did the other morning and headed straight for an Erin Baker’s Double Chocolate Chunk Breakfast Cookie. 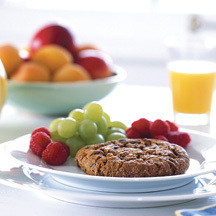 The Original Breakfast Cookie is made with whole grains, is sweetened with fruit puree, and is loaded with protein, antioxidants, and fiber. The Double Chocolate Chunk Breakfast Cookie was moist and chewy – almost like eating a chewy granola bar but much softer and much sweeter. The chocolate flavor was great and the cookie even had real chocolate chunks! Next up for us was the Caramel Apple Breakfast Cookie. Once again, the flavor was delicious. You could really taste the apple flavor and the extra caramel sweetness really popped. What was amazing to me was how much nutrition these cookies had to offer. The Caramel Apple had 5g of fiber and 16g of whole grains baked into the cookie. 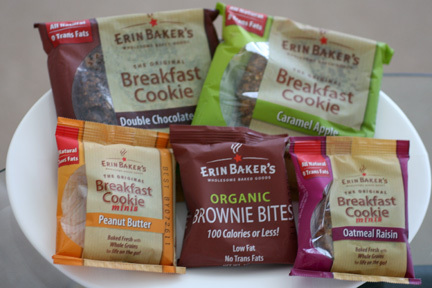 Erin Baker’s has eleven Original Breakfast Cookie flavors, including Oatmeal Raisin, Mocha Cappuccino, and Banana Walnut to name a few. Each cookie is a hefty 3 oz and is surprisingly filling. With the fiber, protein, and complex carbs, the Original Breakfast Cookies are great options to have for breakfast or for a quick bite on the go. If you want to have a smaller, bite-sized option of the Original Breakfast Cookie, then you can pick up the Breakfast Cookie minis, which are just 1 oz. One Double Chocolate Chunk Breakfast Cookie has more antioxidants than a serving of blueberries, red grapes and broccoli combined! If you are looking for delicious, wholesome cookies, I encourage you to check out Erin Baker’s Wholesome Baked Goods. The Original Breakfast Cookies retail for $14.40 for 12 3 oz cookies and the Minis are $3.49 for 8 1 oz cookies. 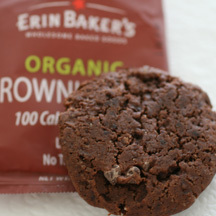 One winner will receive a box of assorted Erin Baker’s Wholesome Baked Goods cookies! Yum yum! Leave a comment with the Original Breakfast Cookie flavor you’d like to try the most. +1 “Like” Erin Baker’s Wholesome Baked Goods on Facebook. +1 if you Erin Baker’s Wholesome Baked Goods on Twitter. Giveaway ends at 11:59 PM EST, June 8, 2011. I would absolutely love to try the Mocha Cappuccino flavor of the Original Breakfast Cookie! Wow…does it ever sound awesome! I would like to try the Morning Glory the most. I think I would like the blend of spices. Plus, it’s a pick-me-up kind of name. Following Erin Baker’s on Twitter @oneinpurpose. Following The WiC Project on Twitter @oneinpurpose. I want to try the double chocolate, of course! 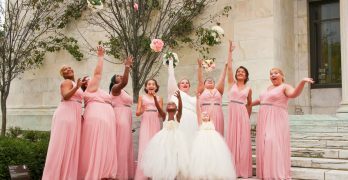 I “Like” Erin Baker’s Wholesome Baked Goods on Facebook. I like the WiC Project on Facebook as Jay Cee. I follow Erin Baker on twitter as @bikeohio. I follow the WiC Project on twitter as @bikeohio. I follow the WiC Project on GFC as bikeohio. I subscribe to the WiC Project feed via Google Reader. I would love to try the Mocha Cappuccino flavor of the Original Breakfast Cookie! The Mocha Cappuccino sounds delicious. I would like to try the morning glory. I’d like to try the Double Chocolate Chunk. I’d like the Fruit and Nut or Morning Glory! I’d like to try the caramel apple first. I follow Erin Baker’s Wholesome Baked Goods on twitter as humanecats. I like Erin Baker’s Wholesome Baked Goods on Facebook as Ricky Todd. I’d like to try the Peanut Butter Original Breakfast Cookie. I would love to try the Double Chocolate Chunk. I would like to try the Caramel Apple flavor the most. Oooh! I’d love to try the Double Chocolate Chunk! i’d like to try morning glory. I would like to try the regular brownie bites. Double Chocolate Chunk is the flavor I would like to try. Caramel apple sounds good. Thanks. Peanut Butter Chocolate Chunk… yum, yum! The fruit and nut cookie sounds awesome! I’d love to try the Morning Glory breakfast cookie. I follow Erin on twitter. my favorite breakfast cookie is peanut butter! I’d like to try the Chocolate Chunk Raisin. I follow Erin Baker on twitter as prizepuzzle. I’d like to try the caramel apple! I’d love to try the Mocha Cappuccino. I’m a facebook fan of Erin Baker’s Wholesome Baked Goods under username Jennie Tilson. I’m in for the double chocolate chunk. “Like” Erin Baker’s Wholesome Baked Goods on Facebook-mary jaco. I would like to try the Morning Glory cookie first. It sounds like something good to wake up to. “Like” Erin Baker on Facebook username mimi2tnb. “Like” WiC on Facebook at username mimi2tnb. “Follow” Erin Baker on Twitter @oneinpurpose. Follow WiC on Twitter @oneinpurpose. I’d like to try the Peanut Butter. I’d love to try the Peanut Butter or the Morning Glory cookies. When I looked at the list , the Fruit and nut cookie was the one I was going to take asmy no 1. Then I read about each of the flavors and Morning Glory won . It was definitely not an easy decision. I’m a chocoholic so it would be the double chocolate chunk! I would love to try the Mocha Cappuccino. Oatmeal raisin sounds like the perfect breakfast cookie to me! 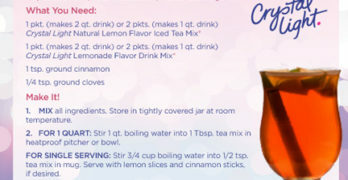 Morning Glory cookies sound fabulous!!! Yum! I would like the banana walnut. Double Chocolate Chunk would be my flavor of choice! I would like to try the Peanut Butter the most! I’d like to try the oatmeal raisin. The Caramel Apple sounds so good.Thanks! I would love to try the Morning Glory. I want to try Oatmeal Raisin! I would like to try the Double Chocolate Chunk.